You don’t have to look far to find your perfect tree! 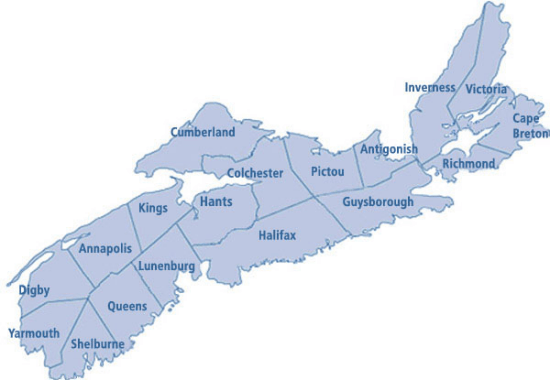 To find a Choose & Cut or Retail Lot near you, click on a county name on the map of Nova Scotia below. P.S. Be sure to click on the name!